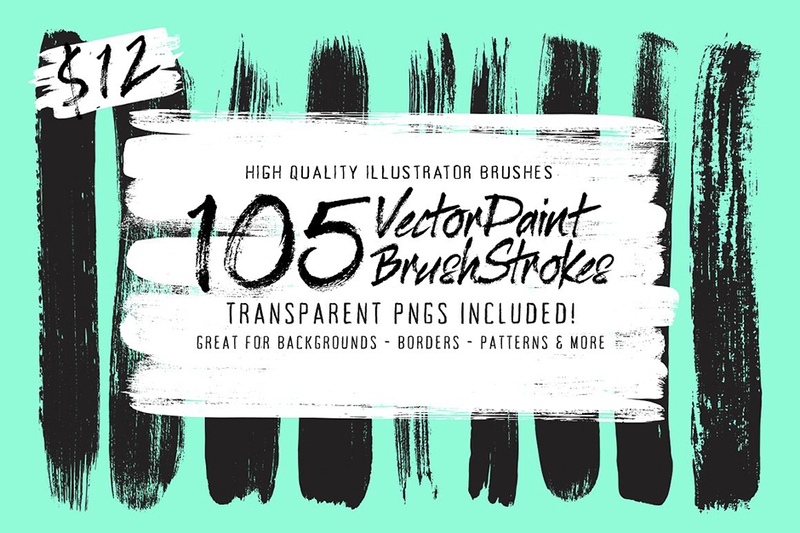 Introducing my collection of 105 Detailed Paint Stroke Brushes for Illustrator. If you’re on the prowl for high quality, super detailed and realistic paint brushes for Illustrator then you’re in the right place! This huge set contains 105 of them and I’ve got every angle covered. 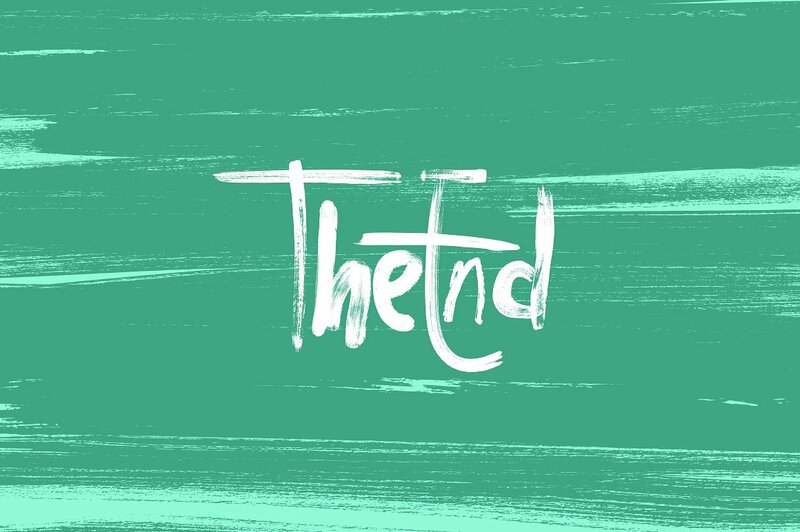 This collection is perfect for illustrators, hobbyists, designers and everything in between as they are effective and super easy to use. Every measure was taken to ensure that the quality of these brushes remained at their highest throughout every stage. Starting with a 1200ppi scan, followed by converting each stroke to vector one at a time. I have also included the original vector files (not .AI brushes) for those of you that would simply like to copy and paste the strokes in their original format. Also, inside you will find two large .PNG images (10,000px x 14,000px) that together include the whole collection, opening this up to non-illustrator users also. Software compatibility: Adobe Illustrator CS and newer. .EPS files will work with a variety of programs such as Adobe Photoshop or Illustrator, Sketch, InkScape, Affinity, Corel Draw, etc. .PNG files will work with most graphic software. File size is approx 143MB (156MB unzipped), offered as a single download. I am not seeing the file for CC as it states above that there will be CC brushes in the files. I can not change my stroke color. Can someone please advise? I’m so sorry for any confusion caused about the brush files included in this pack. 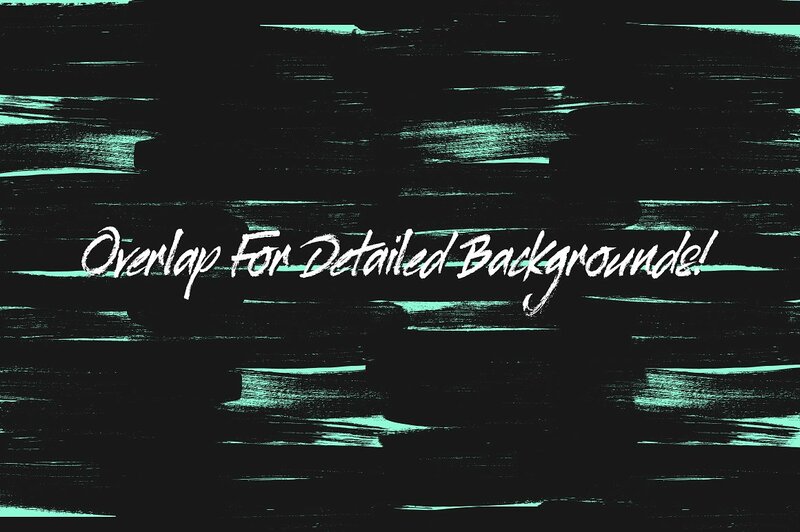 The designer has included 2 brush files in this particular pack that list its earliest compatibility. You should see that you have a brush files named CS and CS5, and if you open up your CS5 file, this should work in CC for you as this file is intended for Illustrator CS5 and newer :). I can definitely help you with changing the colours of these and you should see an email from me really soon to help get you up and running with these straight away! Hello, I purchased this produce a few months ago and am just now getting around to loading the brushes. However I only see CS and CS5 brushes. There are no CC brushes in the set. 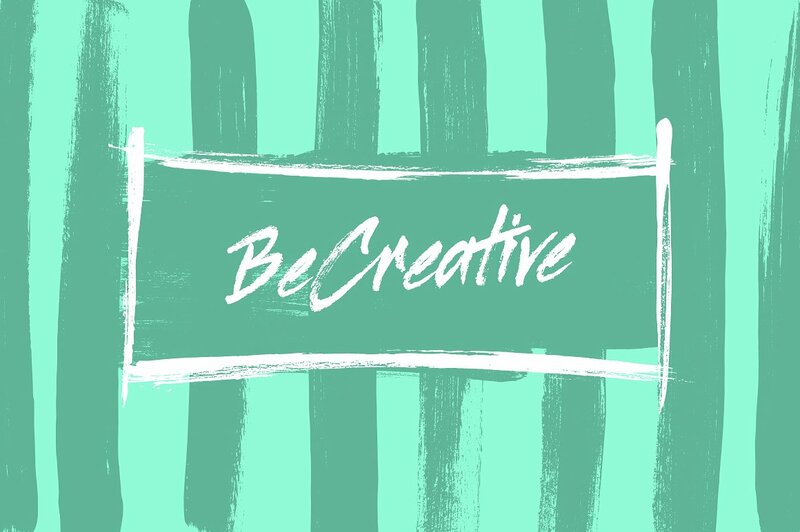 Are there supposed to be CC brushes or will the others work with CC Illustrator? Thanks. Thank you so much for reaching out to us about this Steve! I am so sorry to hear that you are having difficulty with your brushes. The designer for the 105 Illustrator Paint Stroke Brushes provided instructions which advises that these brushes are labelled with their compatibility so I’m so sorry if this is possibly the cause for any confusion. The good news is that you should be able to work with the brushes labelled as CS5, as these will work in Illustrator CS5 and newer.